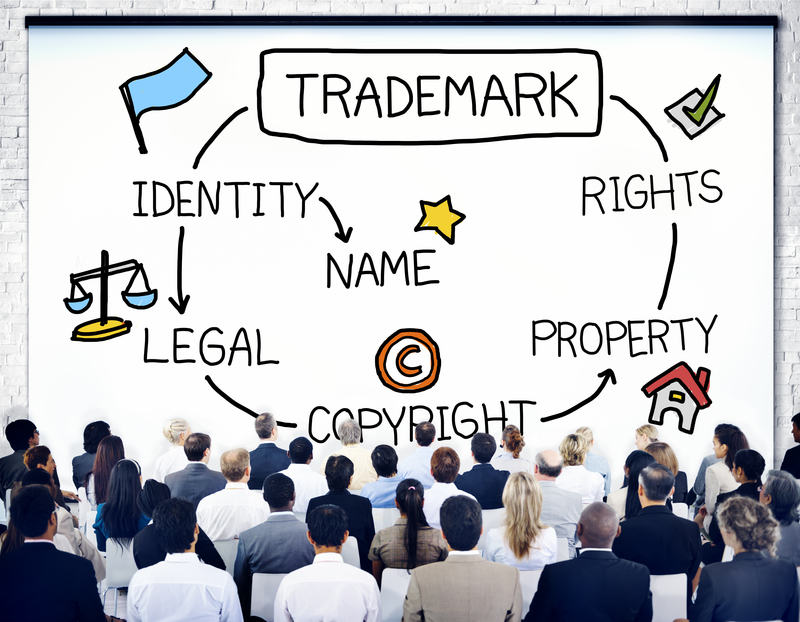 Businesses often use trademarks or service marks to market products or services that they offer, investing thousands of dollars in artwork and advertising in the process. How do these businesses prevent other businesses from copying these “marks,” and how do they avoid unlawfully using the trademark of another business? Answer: by performing trademark searches and registering the trademarks with the United States Patent and Trademark Office. The search and registration process is an investment, however, and the costs and benefits of search and registration should be considered. But the first investment is in taking the time to understand the basics of trademark law. A trademark is a word, phrase, symbol, or design, or a combination of words, phrases, symbols or designs, that identifies and distinguishes the source of a business’s products from those of other businesses. A service mark is essentially the same as a trademark, except that it refers to a service rather than a good, and the rules for federal registration of service marks differs slightly from the rules governing trademark registration. Trademark rights are acquired primarily by actually using the trademark, not by registering it. Generally, the first business to use a trademark has priority in enforcing the exclusive use of the mark. How the mark is used is important. A trademark is a “proper adjective,” not a noun. “Kleenex brand tissues” or “Kleenex tissues” are examples of proper trademark usage. Using the same trademark as a noun, as in, “Can I have a Kleenex?”, can cause the trademark to be deemed generic, and therefore unprotectable as a trademark. “Escalator” used to be a trademark, before it fell into generic usage. Therefore, businesses should take care in the way that they use their trademarks in their own advertising and product literature. 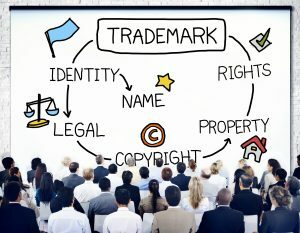 Before registering a trademark, it is advisable for a business to use a common-law designation of a trademark by inserting the letters “TM” after the mark, for products, or “SM” after the mark, for services. The more unusual a trademark, the stronger the protection afforded the trademark under federal law. “Fanciful” marks, such as Exxon or Kodak, are new words that were “coined” for the purpose of marketing a product and are afforded the highest protection. In declining order of “strength,” trademarks may also be characterized as “arbitrary” (e.g. Apple computers), “suggestive” (e.g. Greyhound buses), or “descriptive” (e.g. Alo cream, to market an aloe-based cream). Descriptive marks can only be registered as trademarks if there is evidence that consumers associate the trademark with a particular company’s product. Generic trademarks (e.g. “Tissue” for facial tissues) can’t be registered. Why Bother to Search for Other Trademarks? The benefits of performing a trademark search, and of registering the mark, are both defensive and offensive. Defensively, businesses want to be allowed to use their trademarks without being sued for infringing the trademarks of others. Another business with superior trademark rights can demand that the newcomer “cease and desist” from using the infringing mark. That means throwing away all of your marketing materials and starting over, and hoping that the other business will not pursue damages in federal court. Offensively, businesses may want to enforce their trademarks against newcomers, who might otherwise confuse and divert potential customers. The more businesses have invested, or intend to invest in their trademarks in the form of advertising, the more beneficial it is to perform a formal trademark search and to register the mark. A trademark search involves more than searching the United States Patent and Trademark Office database for identical trademarks. Because trademark rights are acquired through the usage of the mark, not registration, a proper trademark search should include a search of the Internet, state incorporation databases, Internet domain names, state trademark registration databases, and trade publications. Even having searched all of these locations, it is still possible to overlook the prior use of a confusingly similar trademark. That risk is unavoidable but is minimized by a thorough search. Furthermore, merely searching for identical marks is insufficient, because marks that are “confusingly similar” to the proposed mark are as much a litigation threat as identical marks. For this reason, a thorough trademark search requires the use of a professional trademark search firm, with access to all of the most commonly used databases, and the knowledge required to formulate appropriate search queries. The resulting report needs to be analyzed by someone who is highly knowledgeable about trademark law, and preferably by someone who will give a legal opinion regarding whether the proposed mark can be registered with the Trademark Office. Failure to perform a proper search may cause the owner of the new trademark to be deemed to have acted in “bad faith,” justifying disgorgement of the infringer’s profits to the plaintiff, plus attorney’s fees. The cost of conducting a full search and registering a trademark typically runs approximately $3,000, including a legal opinion. The Trademark Office usually takes between six months and a year to act on the application. Trademarks can be either assets or liabilities, depending on the care with which they are established and used. Trademark searches and registration can both avoid business liability and create a valuable business asset. Mr. Greber’s extensive business law experience includes representation of companies and corporations in all stages of their business life-cycle, from initial founding, through growth and expansion, to sale. His intellectual property law background includes the registration and protection of copyrights, trademarks, and trade secrets. 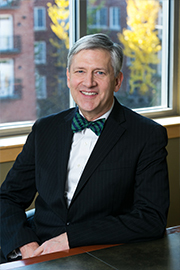 He has also represented clients in state and federal court in a variety of civil litigation matters, including disputes among business owners and cases involving infringement of intellectual property rights. Following are more specific examples of the types of legal work Mr. Greber does and the kinds of clients he typically represents.